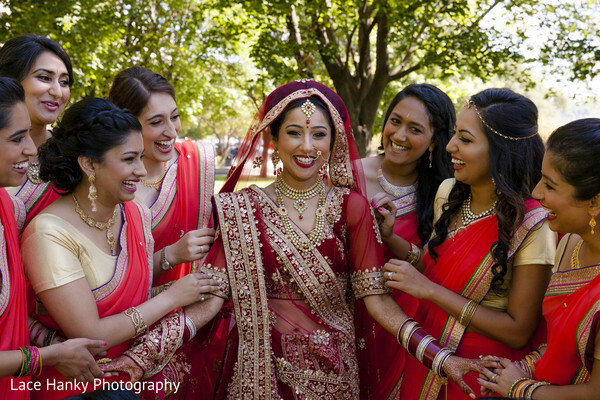 Though Minnesota may be known for it’s sub zero temps and high octane snowstorms, Ritika and Rajdeep’s Indian wedding was filled to the brim with sunshine and cheer! The sweet duo looked like royalty in their richly embellished fashions, with Maharani Ritika in a cranberry lehenga and a glittering kundan jewelry set. 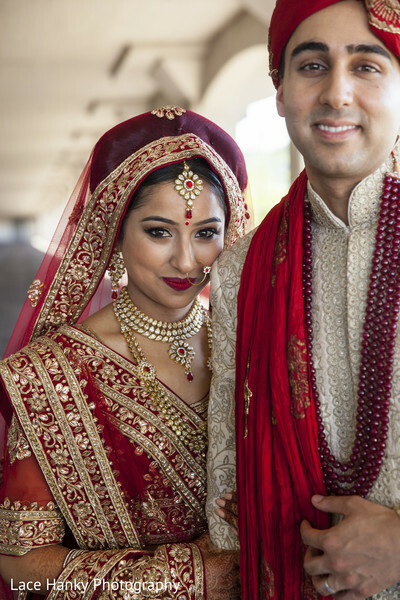 We’re also loving dapper Rajdeep’s regal ruby necklace - Who says the groom can’t have killer accessories as well? We have to give kudos to the masterful hair and makeup team at WarPaint International Beauty Agency and makeup artist Brynna Heiser for whipping up such a delightful beauty look! 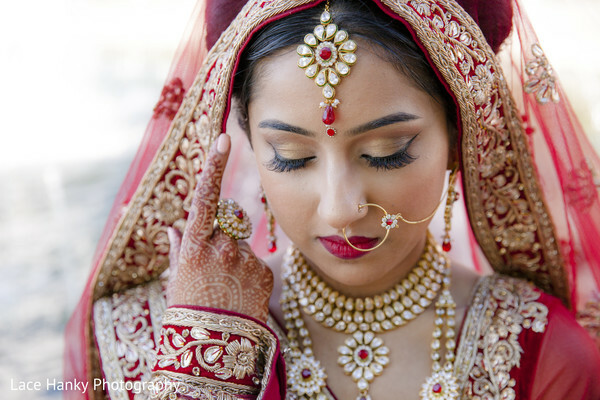 WarPaint International Beauty Agency fashioned Ritika’s wide, high bun that was the perfect base to show off her sparkly dupatta. 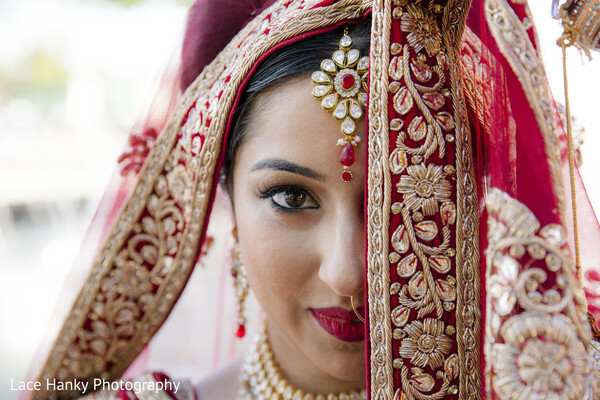 Meanwhile, Brynna Heiser created the bride's picture perfect kohl rimmed eyes and scarlet pout. Lace Hanky Photography captured some instant classic portraits of the couple, and we’re loving their graceful poses. 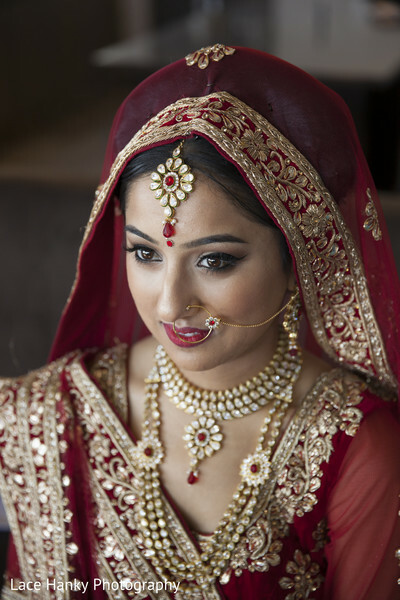 Maharanis, we encourage you all to indulge your inner supermodel and practice posing before your big day! You’ll feel so much more confident and prepared in front of the flashing camera. 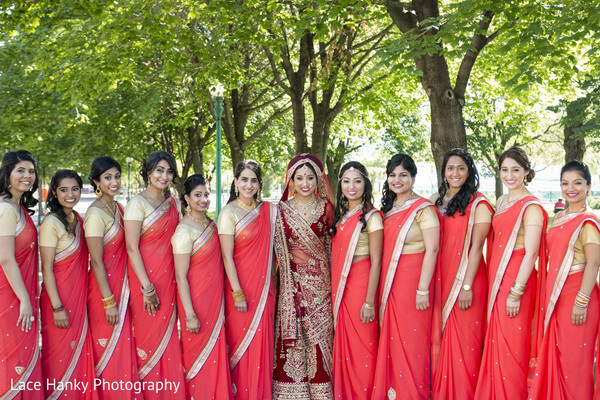 Peruse all of Ritika and Rajdeep’s wedding festivities in the full gallery by Lace Hanky Photography. Next, we’ll take you into the lovebirds’ gorg reception soiree at the Intercontinental St. Paul, so hurry back! Catch you in a few moments Maharanis! WarPaint International Beauty Agency is a member of the Platinum Guide. Love what you see? Explore their portfolios.